On April 12-13, 2010 the United States convened the first Nuclear Security Summit (NSS) in Washington, DC, including 47 nations and three international organizations. The purpose was to strengthen efforts to prevent nuclear terrorism by improving the security of all nuclear materials around the globe. At the end of this event, it was announced that the Republic of Korea (ROK) would host the next NSS in 2012. Concerns over whether this type of dialogue would violate United Nations sanctions on North Korea would naturally have to be resolved. These revolve around which organizations in North Korea the dialogue would be with and whether these discussions are related to the DPRK’s nuclear weapons program. The sanctions resolutions are very clear that they support the resumption of the Six Party Talks and the ultimate denuclearization of North Korea. So, if this discussion were clearly identified as a lead in to the resumption of the denuclearization dialogue, the sanctions limits may not apply. In fact, UN Security Council Resolution 1718 urges intensified diplomatic efforts “to facilitate the resumption of the Six Party Talks.” So, there may be political benefits to engaging the DPRK on these issues, both by helping to underpin renewed denuclearization talks and by bringing the North back towards the international mainstream by providing another avenue for engagement. But, ultimately, governments would need to weigh these concerns and benefits and make a determination. The nuclear negotiations with North Korea have been focused on the estimated 5-8 nuclear weapons worth of plutonium that it has stockpiled and the nuclear facilities that produce and reprocess the plutonium. The unveiling of a uranium enrichment program last year has complicated this discussion because centrifuges can be used to enrich uranium to low levels for use in power reactors as well as to very high levels for use in nuclear weapons. Aside from their weapons, there is also concern about the potential leakage of the DPRK’s nuclear materials outside its borders under various scenarios or even the intentional diversion of them to other states or non-state actors. Thus, there may be some global security and political benefits that could be derived from building a nuclear material security dialogue with North Korea as long as that process is carefully designed not to confer legitimacy on the DPRK’s aspirations to become a nuclear weapons state. Radioactive sources are sealed capsules used for medical, research, agricultural, and industrial purposes. There are an estimated 500,000 to one million of these sources distributed around the globe. 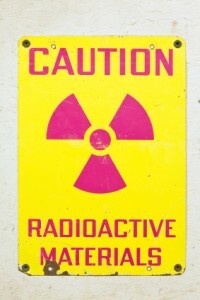 Some types are more potent than others (particularly those containing cobalt 60 and cesium 137) and pose a greater risk if one is exposed unprotected to them or if they are used in a radiological terrorist device. Hospitals, in particular, are among the largest users of the most dangerous types of radiological sources. According to the International Atomic Energy Agency (IAEA),[iii] a large hospital can have 100 of these sources in its possession and sources have been lost at most large hospitals. Because they are small, portable, and often have platinum in the outer casing, these sources are attractive to thieves. But, if coupled with an explosive and detonated in a densely populated area, the spread of the radiation and the resulting economic impacts make them attractive to terrorists. The DPRK almost certainly has radiological sources used for civilian purposes inside its borders and the security of these sources is not well understood. The UN sanctions resolutions make no reference to radiological sources used in civilian applications. Engaging the DPRK on the issue of non-military radiological source security “best practices” could be a low-risk, technically based effort that would take advantage of some of the new foundations that the NSS process has begun to build. For example, the April NSS called for high levels of protection for nuclear materials everywhere around the globe. It also called for this to extend beyond the 47 countries that attended the summit. Reaching out to the DPRK on this issue would serve both of those objectives as well as providing a basis for meeting President Lee’s criteria for invitation to the NSS. In addition, one result of the 2010 NSS was that China, India, Japan, and the ROK all announced that they were creating nuclear centers of excellence that would have the protection of nuclear materials as one important focus. The Korean and Japanese centers are several years away from operation, but there is one operating center of this type, the Russian Methodological and Training Center (RMTC) in Obninsk, Russia. The U.S. and Russia use it for regional training on nuclear material security issues. This could be one location to hold discussions with North Korea and to demonstrate some of the security practices. The invitation to the DPRK to engage in a dialogue on radiological source security could come from one or more of the five countries that have been involved in multilateral talks with them—China, Japan, Russia, South Korea, and the United States. Alternatively, the invitation could be issued by one or more nongovernmental institutions, such as think tanks, universities, or an organization like the World Institute for Nuclear Security (WINS) that is devoted to nuclear material security best practices. Analysis of the different classes of radiological materials and their uses and dangers. This briefing could be conducted by IAEA experts. An overview of national level regulations and inspections. This discussion could include examples or briefings from a number of different nations, including the DPRK. The problems associated with inventorying all radiological sources and how different nations have tackled or struggled with this task. Security for radiological sources in hospitals and other public locations. This could include various threat scenarios, including insider threats. It also should include a briefing on how the U.S. has secured all radiological sources at one large medical complex and how it is working with other partners on this issue. Security of radiological sources in transit. A particular focus could be on the technical aspects of the shipment as well as the security procedures during transport. The development and use of security forces, emergency management techniques and structures, and modern communication equipment. How security improvements could be implemented in the DPRK and then inspected by other nations. This discussion could also include the possibility of exchanging visits to see the security system in other countries. Depending on how the first phase of these discussions developed, the dialogue might eventually expand in the long-term to address more sensitive nuclear materials. This could include: how to provide modern security for fissile material stockpiles using computer-based accounting methods; and physical security systems that utilize cameras, fences, and intrusion detection technologies. There would be no need to engage directly on the specific materials or facilities that the DPRK possesses in this phase, as mock ups or computer based-animation of a “typical” facility can easily be substituted. This process would then provide the DPRK with the opportunity to take steps to implement specific improvements that both serve their internal needs for security and demonstrate to the international community that they are a responsible possessor and protector of all forms of their nuclear materials as part of an ongoing process of denuclearization. For example they could install modern physical protection equipment and then invite experts over to observe and verify its effectiveness. This would then provide the North Koreans with an opportunity to demonstrate that they are addressing international concerns about the potential migration of their materials to other states or non-state actors and adhering to international best practices and standards. Another benefit of this dialogue is that it potentially could bring the DPRK closer to involvement in the NSS in Seoul. The South Korean government is definitely cognizant of the fact that it is hosting a major nuclear summit in which the DPRK was not initially included. The tense state of relations between the two countries during the last year, as well as the stalled Six Party Talks on denuclearization, provide a clear disincentive to inviting North Korea to the Seoul summit. Moreover, there are concerns in Seoul that the North might take provocative military steps to disrupt the 2012 meeting. However, a nuclear material security dialogue could set up the opportunity for the DPRK to engage with the ROK summit in 2012 if broader political obstacles in inter-Korean relations are resolved. As one avenue of entry, the Seoul summit will likely include a greater emphasis on radiological security. If the engagement process progresses, it could eventually result in an agreement for the establishment of a Korean Peninsula Radiological or Nuclear Material Security and Safety Zone. This zone would be a confidence building action that would allow both the North and the South to take steps to ensure that they have equally effective security over their nuclear and radiological materials. The two parties could exchange information and monitors to verify the security improvements that have been undertaken. This could form another concrete basis for further dialogue on nuclear issues on the peninsula as part of a revived denuclearization process.